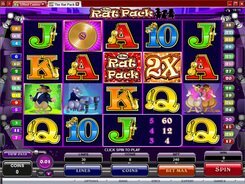 The Rat Pack is a 5x4 music-themed slot with 30 paylines. 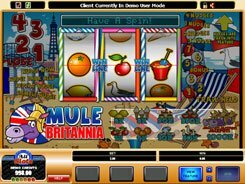 The symbols are musical rats singing, dancing and playing the piano as well as traditional poker card icons from 10 to Ace that are also given a themed twist. 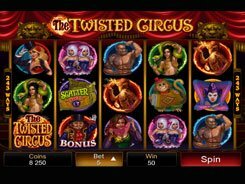 A betting range is $0.01 to $150, and the highest cash award in the game is $25,000 if you place the maximum spin bet. 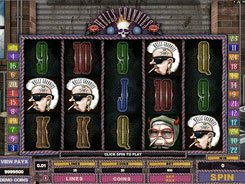 The slot features a scatter, free spins, and two wild symbols. 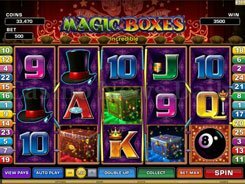 Both wild symbols stand in for other regular icons, and one of them doubles payouts when substituting. The Gold Record which is a scatter unlocks five initial free games if 3+ of them land anywhere in view. 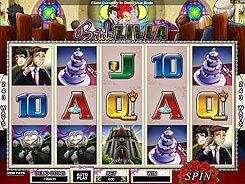 The free spins feature offers you a unique way of winning. When in the feature, all scatters are held in place for one spin, while the remaining reels with no scatters on them spin as in a normal game. After a spin, all scatters in view move down one position and are held in place again. 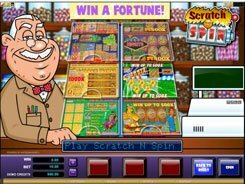 The free spins feature comes to an end when there are no more scatters on the reels. The maximum possible award in the feature can reach a massive 30,000 coins.